Orphan Espresso has just outdone themselves with the production of the LIDO 3. 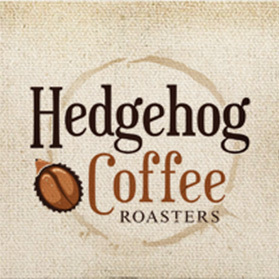 Here at Hedgehog Coffee Roasters, we know that a good grinder is possibly even more essential to the quality of our end cup as our coffee beans and brewing equipment. The LIDO 3 features a swiss made conical burr set designed to use less turning force which results in a grinder that is easier to turn and more comfortable to hold. It weighs 1052 grams (LIDO 2 1600 grams in weight) and has a diecast folding crank handle which makes it ideal when traveling. It comes with a neoprene travel bag, cleaning brush, custom hex assembly tool and rubber popper stopper. The anti-static plastic container allows for easy pour of coffee grounds. With a purchase of the LIDO 3 we are including a 12 oz bag of whole bean Papua New Guinea coffee to thank you for your business. The following features are taken directly from the OE website. The overall size and function of both of our LIDO Manual Coffee Grinder models are the same...in fact, all of the parts are interchangeable between the two models (except for the LIDO 3 travel bag...the 2 will not fit with the handle installed). The basic difference between the two models is that the LIDO 3 is LIGHTER and has a FOLDING HANDLE...both of these aspects make it a more travel friendly unit... We call it our TRAVEL GRINDER and preferentially use it when away from home. Some of the small aspects of the LIDO 3 are standard, while these are available only as an optional or additional purchase to install on your LIDO 2, if you chose to do so. For example, the LIDO 3 soft knob can be purchased and directly installed on the 2 as can the static dissipative plastic jar. The rubber popper stopper, standard on the 3 will fit the 2...again as an add on. These retrofit parts will be a continuing feature of all of our LIDO series grinders as we move forward with our LIDO grinder project. Over all, we view the LIDO 2 as a home grinder that can travel, and the LIDO 3 as a travel grinder that can serve at home. The most important thing about either grinder is that they deliver a consistent grind for all types of coffee brewing - from Turkish fine to French press coarse. Each of the grinder models has its own look - the ultra bling of the 2 contrasting to the more utilitarian black of the 3, but the all important function is the same. Our current production run of the LIDO 2 grinder uses an Italian made conical burr set while the LIDO 3 uses our new Swiss made burr. The Swiss burr was designed to use less turning force when grinding making the grinder both easier to hold and easier to turn, particularly when grinding light roast beans on fine grind settings. This is very noticeable when comparing one grinder to another, in person. But this easier turning comes with the usual trade off...the LIDO 3 is a bit slower than the LIDO 2. The speed difference is only noted when using both grinders side by side - with only one, or the other in-house one does not notice this. Both burrs are substantially faster than any of the small burr manual grinders on the market. If you plan to use either of our LIDO grinders primarily for espresso or other fine grinding we would recommend the LIDO 3 for its easier turning burr (note: many LIDO 2 users have reported that they have "no problem" grinding for espresso so take this recommendation with a grain of salt). Once you get into the drip to coarse range the turning force required for either grinder is very similar so your buying decision falls to finish, appearance, or intended use. LIDO 2: About 1600 grams in weight. Counter stand is standard. Neoprene travel bag optional. Glass catch jar. Aggressive feed Italian made conical burr. LIDO 3: About 1000 grams in weight. Neoprene travel bag and hopper stopper standard. Folding handle. Plastic catch jar. Easier to turn Swiss made conical burr. Note: in order to normalize production and parts supply, future LIDO 2 grinders will have the Swiss burr, so if you want the more aggressive Italian burr, don't wait to purchase a LIDO 2!